The total net profit of Armenian insurance companies for 2017 decreased by 58% forming $ 3.3 million. ArmInfo. The total net profit of insurance companies of Armenia in 2017 dropped by 58% (against growth by 34% in 2016), making 1.6 billion drams or $ 3.3 million. According to the Ranking of Armenian insurance companies prepared by IC ArmInfo, the deterioration in the annual dynamics is due to a sharp change in the dynamics of insurance claims from 13.7% decline to 30.4% growth with a low rising rate of insurance premiums - 5.7% against 6.8% a year earlier. In the annual breakdown (2017 to 2016), profit loss was observed in five insurance companies, three of which reduced the positive indicator by 46-66%, and two were at a loss (Seal Insurance and RESO), and one of them slipped into a minus from the plus level, and only Armenia-Insurance company managed to increase profits, but too modestly. Only for IV quarter of 2017 total net profit of insurers slipped 2.3 times (against 87.3% decline a year earlier), having moved from plus a negative level of 134.2 million drams, which was due to the rate of growth in the volume of compensation from 18.5% to 61.6%, with moderate acceleration of the upward trend of premiums - from 23.6% to 38.2%. And, quarterly, four companies significantly reduced financial result, of which one managed to keep at a positive level, one moved from profit to loss, two significantly increased the loss, and only two managed to increase profits (INGO Armenia - 3.2 times and Nairi Insurance - 9.3%). The first place in terms of net profit for 2017 is held by Rosgosstrakh Armenia - 523.4 million drams (annual decline of 66.4%). In second place, INGO Armenia - 501.1 million drams (annual decline of 46.7%). The third one is SC "Nairi Insurance" with a profit of 472.9 million drams (annual decline of 46.4%). The fourth one is SC "Armenia Insurance" with a profit of 404.4 million drams (annual growth of 4.9%). The list is closed with a minus indicator of SK "RESO" and "Sil Insurance" - 113.1 million and 211.3 million drams respectively, the first having come off the profit at a loss (the annual decline is almost 40 times), and the second having increased the negative indicator by 14 times. The total volume of insurance premiums according to the results of 2017 was 34.1 billion drams ($ 70.4 million), and insurance indemnities - 18.6 billion drams ($ 38.4 million). Only for the IV quarter, insurance premiums amounted to 10.2 billion drams, and compensation - 6.9 billion drams. As a result, the total profit of the insurance line fell by 13.8% in 2017 to 15.5 billion drams ($ 32 million), showing a 4.5% growth in the quarterly section to 3.2 billion drams, while the year before the growing dynamics was in plus - 31%, and quarterly in more significant than now plus - 28.5%. 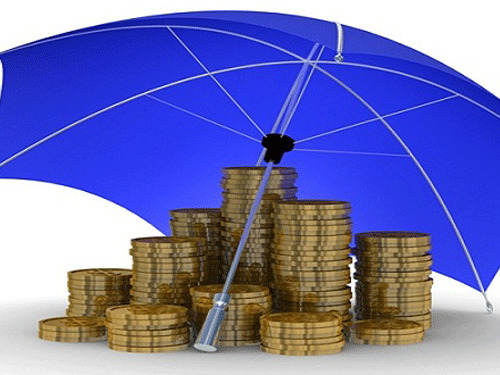 The highest profit on the insurance line was registered in 2017 at INGO Armenia - 4.5 billion drams (annual decline of 12.1%, with a quarterly growth of 79.6%), the second position belongs to Rosgosstrakh Armenia - 3.7 billion drams (annual decline by 18.8%, quarterly - by 36.5%), Nairi Insurance keeps the third position at 3.2 bln drams (annual decline by 13.5%, quarterly by 11.1%). The fourth, fifth and sixth positions continue to be occupied by "RESO", "Sil Insurance" and "Armenia Insurance" - 1.6 bln, 1.5 bln and 1.1 bln drams respectively, and in the quarterly section this indicator was provided by "Sil Insurance" and "Armenia Insurance" (by 15-25%), but "Armenia Insurance" (by 2.5%) managed to ensure an annual growth in the growing volume, while RESO had a downward trend in both the quarterly (35%) and yearly cut (13.1%). It should be noted that there are 6 companies operating in the Armenian insurance market, out of which there are 17 insurance classes, except for railway transport insurance and insurance of judicial and extrajudicial expenses. The INGO Armenia Insurance Company (the only one operating in the water transport insurance category) was licensed for 16 classes, Rosgosstrakh Armenia Insurance Company was licensed for 15 classes (the only one operating in the credit risk insurance class). (the calculated exchange rate of the dram to the dollar as of 31.12.17 was 484.10 dr / $ 1).